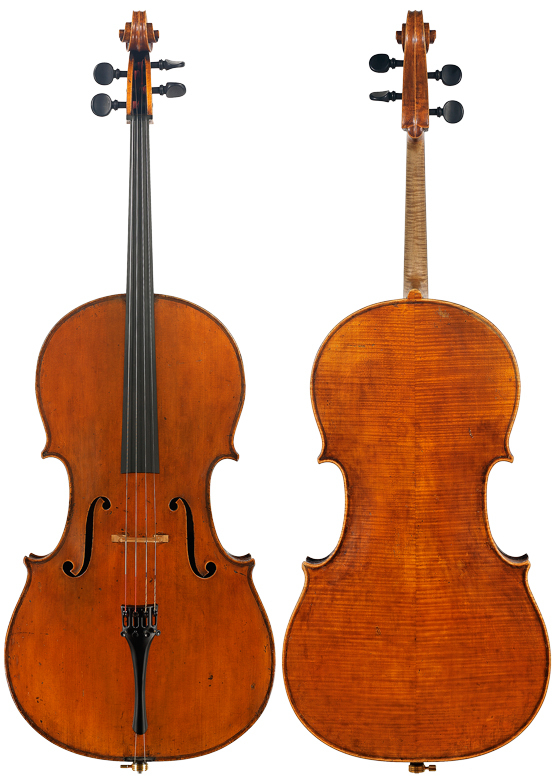 The Antoniazzi family of violin makers, led by Romeo’s father Gaetano and older brother Riccardo, was originally from Cremona. The family arrived in Milan in 1870. Their unique, Cremonese-influenced style had a great effect on other makers in Milan, most notably Leandro Bisiach. Bisiach began as a student of the Antoniazzis, but along with his skill as a maker, he had considerable business acumen, something the Antoniazzi family lacked. Bisiach’s workshop became extremely successful and Gaetano, Riccardo, and Romeo worked there for fifteen years. During that time, Milan became the center of violin making in Italy. Romeo’s instruments show a distinctive style that is still admired and sought after today. This outstanding cello is the finest by the maker that we have seen. Stunning visually, the tone is rich and complex, with great depth and power.